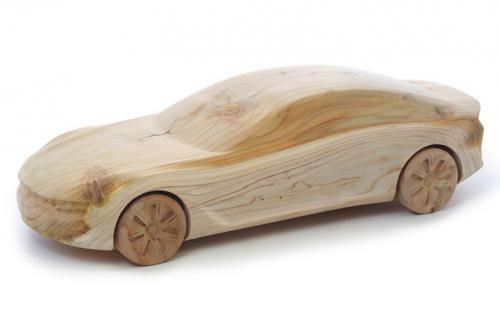 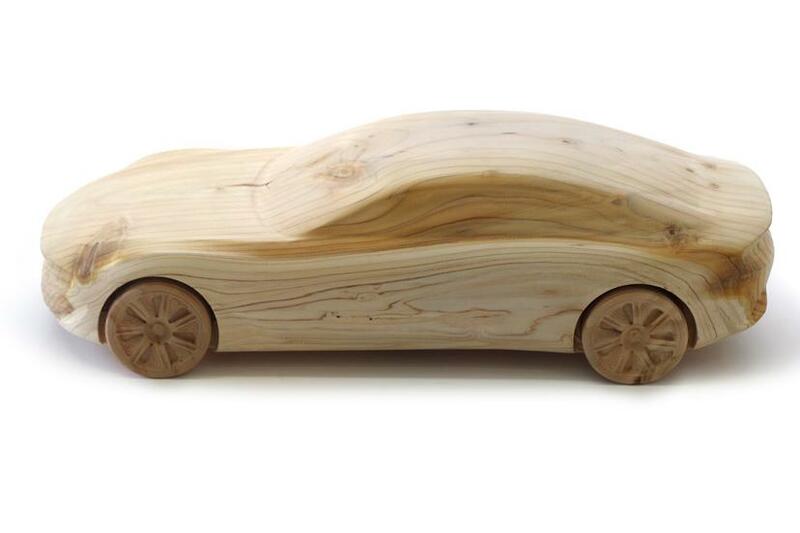 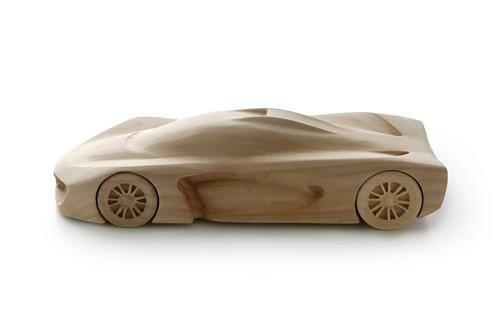 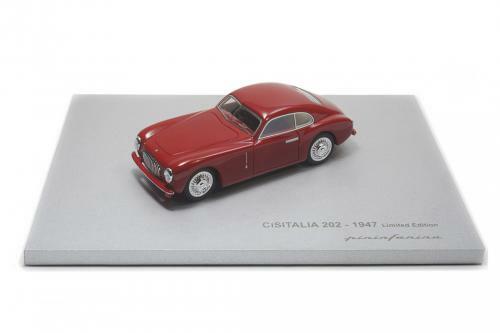 Model in Limited Edition of the Cambiano concept car realized in scented cedar-wood. 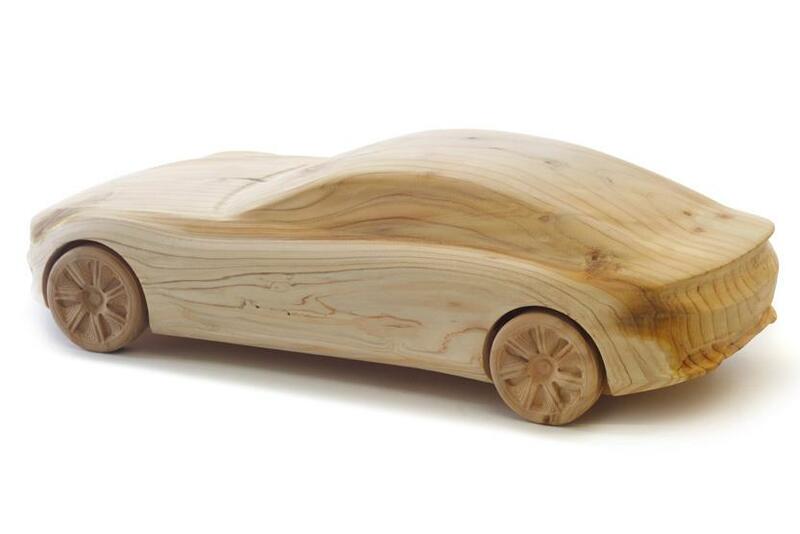 A piece of scented cedar-wood sculpted in the form of the luxury environment-friendly sport sedan, presented at the 2012 Geneva Motor Show. 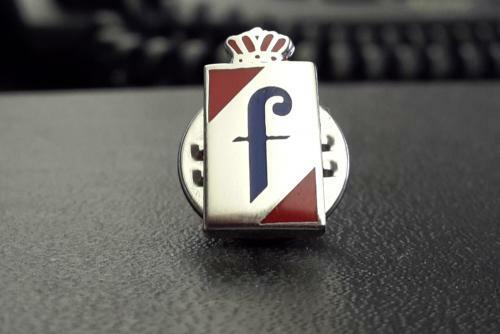 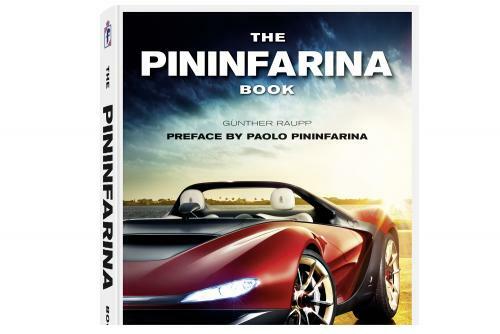 An exclusive creation by Pininfarina and Riva 1920.